IMPERIAL GERMAN NAVY - AWARDS of POUR LE MERITÉ, "The Blue Max"
The Iron Cross 1st and 2nd Class (Eisernes Kreuz 1 and 2 Klasse) was awarded to all ranks for gallantry, while the Grand Cross of the Iron Cross (Grosskreuz des Eisernen Kreuzes or Grosskreuz) was only awarded to the Kaiser and four generals in World War 1. 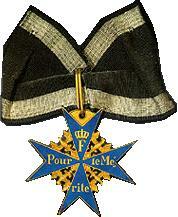 The Pour le Mérite, a Prussian order, was only granted to officers and then for leadership and success in operations (ships sunk by U-boats, aircraft shot down) rather than for specific acts of gallantry as with the British Victoria Cross and American Medal of Honor. It was discontinued with the fall of the Kaiser. When he came to power, instead of re-instituting the “Blue Max”, Hitler introduced the Knight’s Cross of the Iron Cross because the former was only awarded to officers. The Pour le Mérite also included and continues to include a Civil Class. 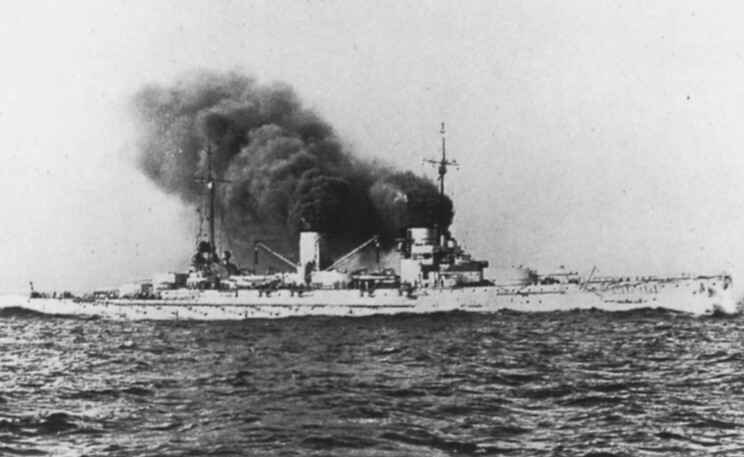 20 December - KaptLt. Otto WÜNSCHE, U-boat Commander, U.25, U.70, U.97 and U.126. Sinkings listed by Uboat.net are 75 merchant ships of 150,155grt (kt - 160,000grt in 12 patrols). Died 1919. 5 August - Leutnant Gotthard SACHSENBERG, Naval Flying Commander, 1st Marine Jagdgeschwader (31 victories). 2 September - Leutnant Theo OSTERKAMP, Naval Flying Commander, 2nd Marine Field Jagdstaffel (32 victories). The initial list of awards was provided by Kurt von Tiedemann from his site "Ordern Pour le Merité".